Sometimes it's the simple ideas are the best. Meet Henry....such a simple idea that you won't find anything better anywhere in the world. You will find me throughout the world cleaning anything from a Boeing 747 to the Sydney opera house. So why not treat yourself to a touch of real Numatic design and engineering at it's best...they call me Magnifico in Spain... and the Taiwanese have been known to fight over me! 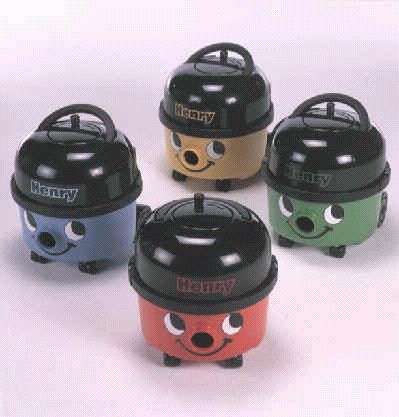 Same specification as a Henry vacuum but without the wind up mains lead feature etc. in Red, Blue, Green or Yellow.